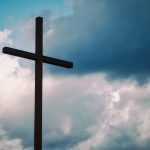 Once again the anniversary of Christ’s death is opening up the question whether it is proper to say that God died on the cross, with good men leveling arguments at and past one another. Some argue that God, being immortal (1 Timothy 1:17; 6:16; etc. ), by definition cannot die. Others, citing passages like Acts 20:28 and Galatians 2:20, which actually state that God died, conclude oppositely. All agree that when Christ died, the Second Person of the Godhead did not cease to exist, but of course death never means annihilation anyway, so this resolves nothing. We must also agree that Christ did not cease to be God when he died, or else his death would have no value for his people. Only an infinitely holy divinity could bring infinite value to Christ’s sacrifice. “God was in Christ reconciling the world to himself” (2 Cor 5:19). For the same reason, we must agree that Christ’s humanity and divinity were not divorced from each other on the cross. Christ is indivisibly both God and man, with neither division of his person nor conflation of his natures. We must further be careful not to affirm that the Trinity itself was in breach or suspended for a period of time while Christ was on the cross. God is eternally, immutably, and indivisibly Triune, and cannot be otherwise. When God “forsook” Christ and poured out wrath upon him, Christ personally experienced that wrath in his indivisible person, effectively knowing death in an experimental way apart from which God could not have known it. This forsaking falls short, however, of an inter-Trinitarian “estrangement.” God did not viscerally hate Christ on the cross—God is impassive and incapable of such angst. Nor did they “lose fellowship” with each other (whatever that means). His was a dispassionate and judicial wrath that in no way interrupted the stream of eternal and necessary inter-Trinitarian love and delight that each person of the Trinity has in the others. Without this, again, God would not be God (John 10:17). So may we say that Jesus the man died? Absolutely. His material and immaterial were disjoined, the former being entombed and the latter dismissed to go elsewhere. May we say that Christ the God-man died? An equally firm “Yes.” The hypostatic union is such that the experiences of the one person can never be partitioned off into distinct experiences of his respective natures. May we then say that the Second Person of the Trinity died? Absolutely not. God is immortal. While it might be said that God knew death by experience through the hypostatic union in a way that he could not have experienced it apart from that union, we cannot say that he died—at least not without gutting the idea of death of all its known meanings. I’m fine with Wesley’s terminology, “that thou my God shouldst die for me” because, as you argue above, “the experiences of the one person can never be partition off into distinct experiences of his respective natures.” Thus, all Wesley is affirming is that Christ the God-man died for him. It’s for the same reason that I don’t object to “the Second Person of the Trinity” died on the cross because that is a reference to Jesus who is the God-man. Paul can say that “they would not have crucified the Lord of Glory” in 1 Cor 2:8. His wording seems to be a direct reference along the same lines as, “the Second person of the Trinity.” The Father didn’t die on the cross; neither did the Spirit. It was the Son who died and that’s who the Second person of the Trinity is. However, I do have a problem with saying that “God died on the cross” because that terminology is not specific enough. “God” by itself is normally a reference to the Father or the Trinity in general. I know there are a few places like Romans 9:5 or potentially John 1:18, where “God” by itself refers to Christ. However, I’m not aware of passages that reference God dying on the cross. The passage in Acts 20:28 may not be an exception, depending on how the textual variation there is resolved (one possible reading is “the church of God which he bought with the blood of his own Son.”). If there are others, it would be interesting to consider them, but as it is now, I view saying “God” died on the cross as theologically imprecise if not downright wrong. Andy, I’m with you to a point. The God-man can say “I hunger,” “I thirst,” and “I lay down my life” because his one person speaks for the union of his two natures. But that’s a bit different than saying that the Logos does things that only a human can do or that his humanity does things that only God can do. For an instance of the latter, it would be perfectly fine for the God-man to say, “I am omnipresent,” but it would be painfully inaccurate to say (as some have done to their own discredit) that the human Jesus is omnipresent. And that is because his humanity is localized and cannot be otherwise. Likewise, the God-man can say,” I died,” but it would be incorrect to say that the Logos died. Because God can’t die. Thank you for sharing this thought: “The second person of the Godhead did not die, but in Christ God knew death by personal experience.” That is well-stated. This is an extremely complex theological question that the Church has wrestled with almost from the beginning. The principals of Communicatio idiomatum with regard to the person of Christ were being dealt with as early as the work of Ignatius of Antioch and Turtullian. Differences on this issue are partly involved in the great Christological debates between the Alexandrian and Antiochene schools in the early Church as well as those between Lutherans and Reformed during the Reformation. The definitions of Ephesus and especially Chalcedon in the 400’s leave the door open. Even such brilliant logical minds of Protestantism such as Jonathan Edwards, etc. have failed to work out a fully satisfactory vocabulary for dealing with the issue. This has practical importance for basic categories of Church experience such as the Lord’s Supper, etc. I sympathize with your approach in the article but I cannot help but feel as though in the end it is just verbal gymnastics. What exactly does it mean to know death by personal experience if what you mean by that is not that someone personally experienced death? I think the question is if the union of the natures in Christ are such that assertions predicated about the person Christ are properly applied to both natures. 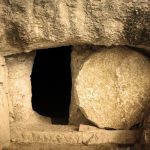 Did the “person” of Christ die, or only His human nature? If the natures are “acknowledged in two natures unconfusedly, unchangeably, indivisibly, and inseparably” as Chalcedon asserts then I am not sure we are any further ahead by saying “The second person of the Godhead did not die, but in Christ God knew death by personal experience.” We would need to really define our terms much more carefully, which I fear would lead us back to where we started. Thank you though for this wonderfully thought provoking article! It should encourage us all to marvel at the amazing significance of the incarnation. Please excuse this question. I am genuinely curious why we can say “Christ the God-man died”, but not “the Second Person of the Trinity”. Do not they both refer to the same person, Jesus Christ. Isn’t Christ the Second Person of the Trinity? Thank you for your clarification! I noticed you did not get an answer so I will try to help. Historic orthodox theology maintains that although Christ the God-Man experienced death on the cross this did not involve any death or substantial change in the divine nature. To say that the Second Person of the Trinity died (in the sense of a cessation of life) would entail a denial of His essential and unchanging nature as God. To put it another way, the Second Person of the Trinity cannot be fully God and die in the sense we generally mean by death, it is a logical impossibility. That happening would raise innumerable and insurmountable issues for the fundamental claims of Christianity, not to mention the end of the universe. The death terminology is unfortunate in its general ambiguity. It is not a problem, however, to say that the Second Person of the Trinity experienced physical human death in the Incarnation of Christ because physicality is not an intrinsic attribute of the divine nature the way that “life” is. It really comes down to definition of terms and a caution to not imply that God, or part of God, somehow died. I’m wondering how do you resolve the issue that Catholics and Protestants have concerning Mary as the mother of God. Going by your article are you saying that Mary can be the mother of God but no she can’t?